If you’ve lived in Fort Wayne for a while, you’ve probably heard the name Parker Shelton. 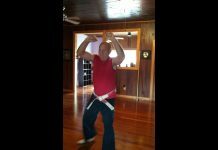 Since the 1960s, the Pineville, Kentucky, native has run karate and judo schools around the city. 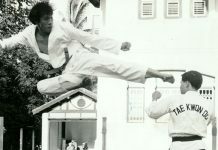 Of course, if you are into karate, Shelton is more than just a name that might sound familiar. He’s fought all over the world, particularly in Europe. That’s the way it was back then. 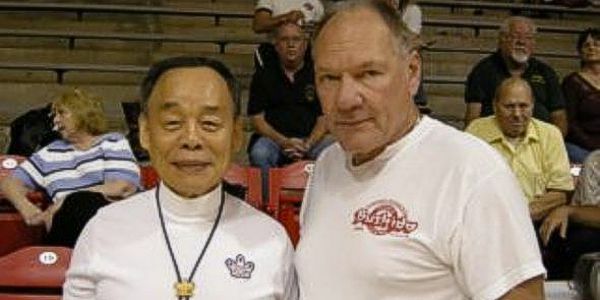 The top karate and judo experts sought out the top competition. If you won a tournament, everyone wanted a shot at you, and Shelton was one of the most targeted experts out there. 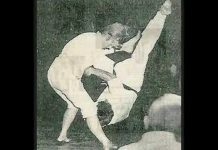 By the 1970s, Parker Shelton, who supported himself by teaching in his schools, had been named world champion in karate and was known all over. 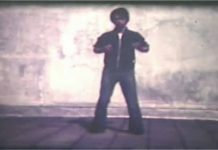 He never became a Chuck Norris or Jackie Chan, but he was involved in movies, sometimes as a technical adviser and sometimes as a stunt fighter. 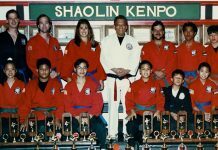 Since retiring as an active fighter in 1978, he has run his schools, taken his students to tournaments and eventually appeared as a referee and judge. On the side, if you want to call it that, Shelton has also raised and competed on what are called cutting horses and has raised longhorn cattle on his spread on the north edge of the city. Oddly, Shelton ended up here almost by accident. 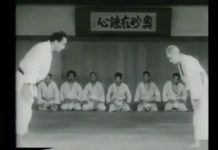 In the 1960s, he was selling karate school franchises for a private company, setting up schools and running them for a few months before turning them over to the owners. Shelton snoozed a little more and awoke to find himself in the middle of downtown Fort Wayne, and he was impressed. Decatur, he thought, was a lot bigger than he thought. Shelton scoped out a couple of locations for possible schools and ultimately agreed to rent a building on South Harrison Street. It was only when he signed the contract that he discovered he was in Fort Wayne, not Decatur. Earlier this summer, though, while working as a judge at a tournament in Illinois, Shelton came down with what seemed to be the flu. At one point, he was diagnosed with walking pneumonia. Eventually, Shelton, 72, received a more serious diagnosis. He had cancer in both lungs, and cancer cells had spread to his liver. “They recommended chemo, but I said no,” Shelton said. His wife had cancer and underwent chemotherapy, but she just withered to a ghost of herself before dying after a year. Shelton went to a holistic wellness center in Florida for alternative treatment. It didn’t work well. Shelton, who has lost a lot of weight, just returned to Fort Wayne from Florida and is still relying on diet for a solution. “There are a few things I want to do for God.” Shelton said. “Everyone goes to God (when they have sickness or problems), but I was raised by a Pentecostal minister. I firmly believe that Christ can do miracles. Frank Gray reflects on his and others’ experiences in columns published Sunday, Tuesday and Thursday. He can be reached by phone at 461-8376, by fax at 461-8893, or by email at fgray@jg.net. You can also follow him on Twitter (@FrankGrayJG).